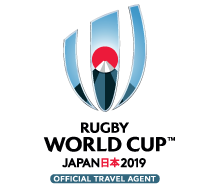 We Love Rugby is Australia's largest and most respected rugby tour operator. Rugby and travel are our passion and we leave nothing to chance with all tickets provided by Rugby AU and your accommodation, travel and add-on options meticulously researched to provide you with the best possible value. Year after year we put our heart and soul into providing you with great rugby touring options, domestically and around the world. Our passengers continue to travel with us because, quite simply - we are the best in the business. So join us on tour for a first class experience.